Micro-blogging site Twitter has become the battleground of our times. With a variety of conflicting opinions, heated exchanges and passive aggressive tweets are a common sight. In the wake of the BJP's impressive performance in the recent Assembly elections, celebrations on social media took a nasty turn when a bhakt troll launched a personal attack on Priyanka Chaturvedi, the National Spokesperson of the All India Congress Committee. 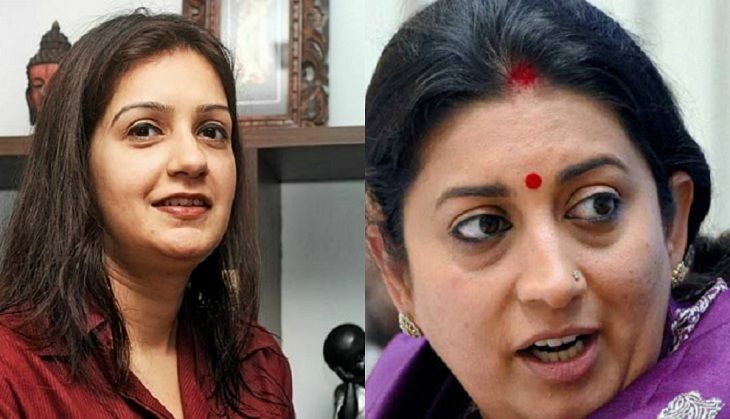 On 22 May, Twitter was witness to a verbal duel between Priyanka Chaturvedi and HRD Minister Smriti Irani. It all began with Twitter user @shefvaidya alleging that trolling Chaturvedi amounts to "attack against the dignity of women", while "poisonous slander" against Smriti Irani is deemed acceptable. Priyanka Chaturvedi wasn't one to let the jab at her go unanswered. She tweeted back, clarifying that she had been threatened to be raped, while Smriti Irani enjoys Z+ security, and asked the user to "cut the crap". At this point, Smriti Irani intervened, saying that she does not enjoy Z+ security. The HRD minister went on to take a direct dig at Rahul Gandhi's dismal performance in the Assembly elections. @priyankac19 I don't have Z security Madam. @priyankac19 why are you so interested in my security? Planning anything? @priyankac19 dats more Rahulji's forte. Oh wait, losing Assam is. My bad. Have a good day.